To return to the roots of this story, we must remember the Makasound label in the 2000s. This label dedicated to Jamaican reggae (created by the same activists who subsequently founded Chapter Two) had released a series of recorded recordings, Inna Of yard . The concept consisted of walking microphones in the gardens of Jamaican musicians, especially that of guitarist Earl Chinna Smith, to capture melodies and inspirations at the source. A sort of field recording on Marley lands. After eight fabulous volumes dedicated to the island's great singers (from Junior Murvin to Kiddus I, including The Viceroys, The Mighty Diamonds, etc), a band had been formed to extend the fervor of the recordings on stage. 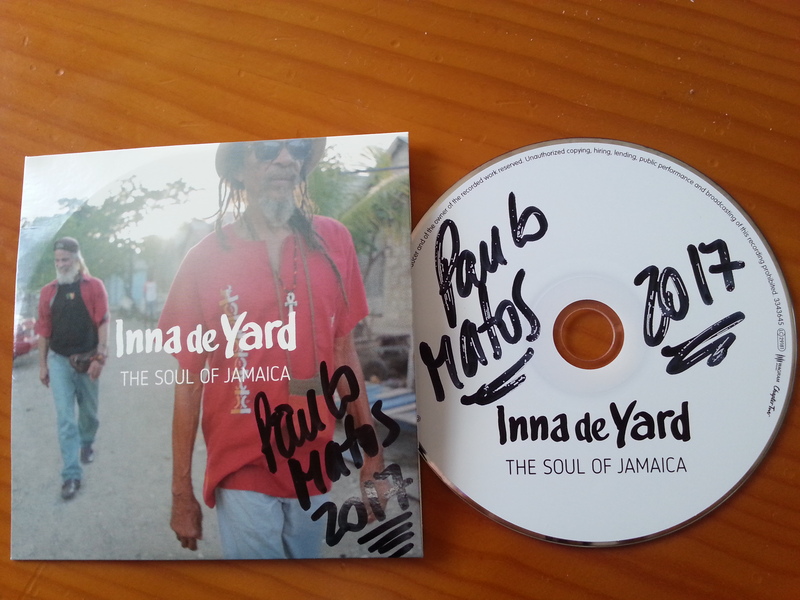 Then the label Makasound disappeared in 2011, and Inna De Yard with him. But the series remained a reference in the memory of black music lovers, and when the Paris Philharmonie decided to dedicate its exhibition to Jamaica (the Jamaica Jamaica show will begin in April 2017), they spontaneously solicited Chapter Two and Inna De Yard to reconnect with the most tasty Jamaican musical experiences. More than a piece of music, it is a question of living a state of mind: while today in Kingston, young musicians and stars of the modern dancehall isolate themselves in studio cabins with digital equipment for Record their songs, Inna De Yard makes the opposite bet. The production is based on the simplicity of the orchestration, the warmth of the acoustic sound, the raw emotion of the voices and the collective energy, these precious moments where music is born of a communion between musicians in an organic and almost spiritual way. "The power of Togetherness" as the rastas sometimes say. In this new episode, "The Soul Of Jamaïca", we find the main Jamaican icons still active, such as Ken Boothe or Cedric "Congos" Myton, but also veterans adored by reggae specialists, but KL McAnuff, Derajah, and Steve Newland, and a few young talents emerging from Kingston's new acoustic scene, such as Var, Lloyd Parks and the Viceroys trio. 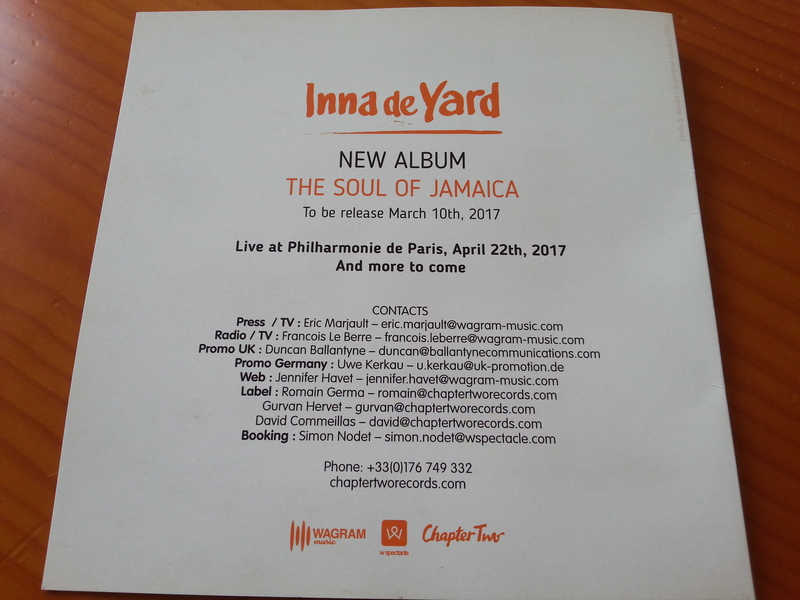 Before many dates in major summer festivals and a tour in the European capitals, Inna De Yard will play exclusively at the Philhamornie in Paris on April 22, 2017. These recording days were filmed by photographer and filmmaker Bernard Benant, which resulted in a mini-film of 14 minutes, commented by one of the series's protagonists, cult singer Kiddus I. It will be available in Line from January 2017 onwards. 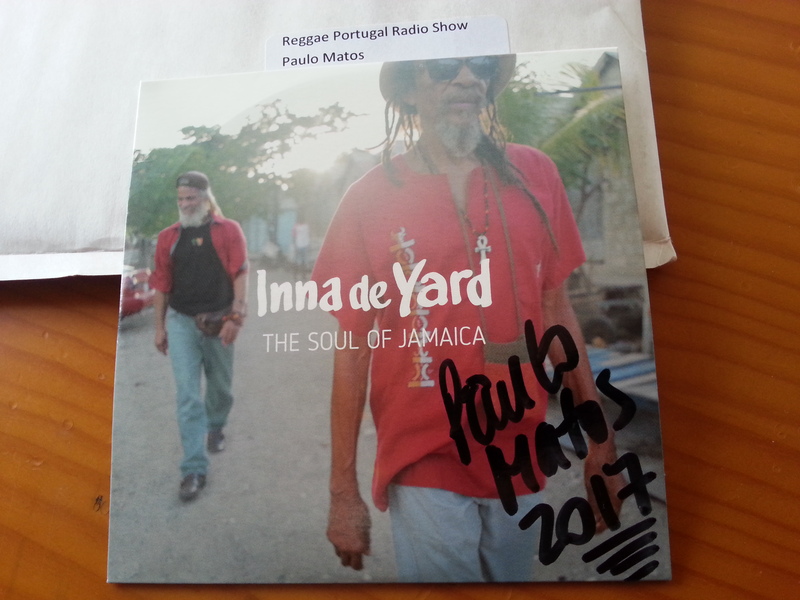 Álbum do ano 2017 Reggae Portugal ? Veremos. Documentário / Documentary: The Soul of Jamaica.